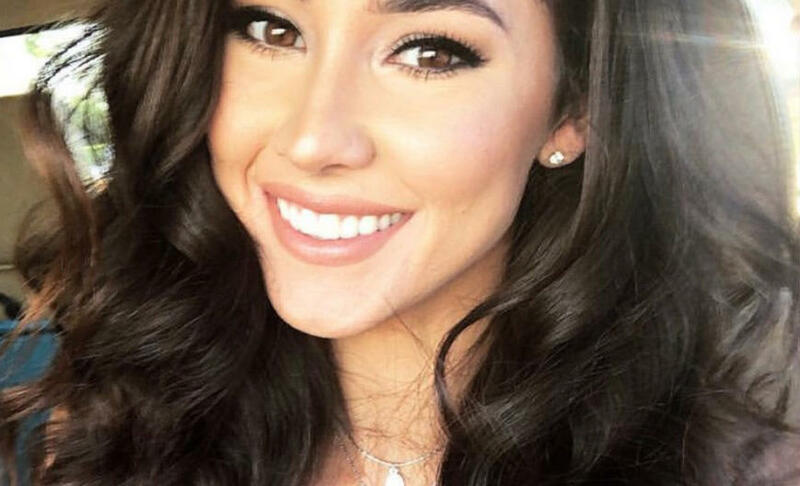 CLAYTON COUNTY, Ga. – What seemed at first to be a horrific car accident is now a homicide investigation after an aspiring model was fatally shot while driving to work. CBS affiliate WGCL-TV reports that Kelsey Quayle, 28, was on her way to Riverdale when she drove into oncoming traffic and crashed into three other cars. Quayle was rushed to Southern Regional Medical Center with critical injuries, and was later transferred to Grady Memorial Hospital. It was at the hospital that doctors discovered Quayle had been shot in the neck. "Upon her being transported to a local hospital with serious injuries, it was found she had suffered a gunshot wound," Capt. Scott Stubbs of the Clayton County Police Department told WSB-TV. Quayle's mother confirmed to WGCL that she died at Grady Memorial Hospital. The family flew in from California this week to be with her and say their goodbyes. Quayle moved to Atlanta just a few months ago to a pursue a career in modeling. A GoFundMe account has been set up to help pay for funeral expenses. Police tell WGCL they are going over surveillance video from a nearby gas station, but at this time they do no have any leads. Here is video footage captured from various angles just seconds before the crash involving Kelsey Quayle occurred. We are asking anyone who may have been traveling along Upper Riverdale Road, in the area of the crash (approx. 7:02 a.m.) to contact us at 770-477-3648. Detectives would like to speak with you about what you may have seen in the area. We would especially like to speak with the driver of the white SUV and the driver of the gray sedan that is seen passing Kelsey's vehicle as it is traveling in the lanes of oncoming traffic. On October 8, 2018, Kelsey Quayle was involved in a serious motor vehicle accident on Upper Riverdale Road. She was transported from the accident location to Southern Regional Medical Center in critical condition. She was later transported to Grady Memorial Hospital for further treatment. As doctors at Grady Memorial Hospital worked throughout the night in an attempt to treat Quayle’s injuries, they discovered that she had sustained a gunshot to her neck. Quayle died from her injuries on October 10, 2018.